This is Cacao de Aroma’s third loan on Kiva. Their first and second Kiva loans were successfully repaid. Now, Cacao de Aroma wants to continue increasing the amounts of cacao they can buy from small farmers and improve farmers livelihoods by paying up to 30% higher prices. 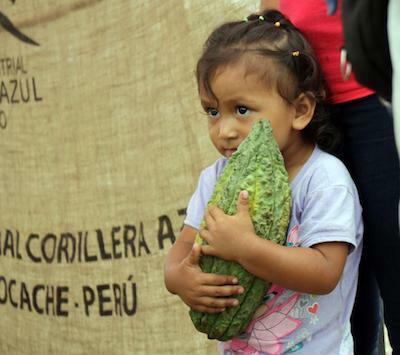 Rural Peruvian farmers are poor and disconnected from global markets. Buyers take advantage of this and buy their crops at much lower prices than that of the market. This is especially true of the Tocache region which once was a major shipping point for coca paste to Colombia to be refined as cocaine. With support from Peru’s National Commission for Development and Life without Drugs DEVIDA, Cooperativa Agraria Central de Cacao de Aroma (Cacao de Aroma) focuses on processes that include uniform post-harvest fermentation. By joining this Co-op, farmers can access a regulated market, finance, and sell their cacao into specialty, Organic and Fair-Trade markets. Since 2014, Cacao de Aroma has gathered over 900 families to sell their cacao to the co-op. Selling via Cacao de Aroma has allowed rural farmers to increase their income up to 30% and improve their livelihood. Congratulations to Cocao de Aroma in Peru...!